Earn extra income easily when introducing customers to use Subiz! Participate completely free. You only need to have Subiz account to have a link to introduce Subiz to your friends. You do not need to have any responsibilities to customers. You only need to introduce Subiz, Subiz will be responsible for consulting, selling and caring. Subiz provides all the resources you need to easily introduce Subiz to your friends. We are always with you and the customers you introduced. Track referral customers, daily commission statistics with referral management system on your Subiz account. Increase income easily and quickly with big markets in Vietnam and globally. You will get a referral link from Subiz account, send this link to your friends. The 120 - day archive cookie will be recorded on the client's computer and during this time if your friend subscribes to Subiz, you will still be counted as a referral. Report tracking customers introduced will be in your Subiz account, you can track the number of referrals and the amount of commissions updated daily. We always develop and update useful materials to help you easily deploy campaigns and programs to attract and introduce customers in a simple and effective way. Let's earn more money with Subiz, easily! Who can join this referral program? What commission will i get? How about the payment method? Your commission will be paid by Subiz on the 15th of every month when the commission amount you earn reaches the payment level you set in the Payment Tab. Subiz pays via bank transfer. How to process the program? 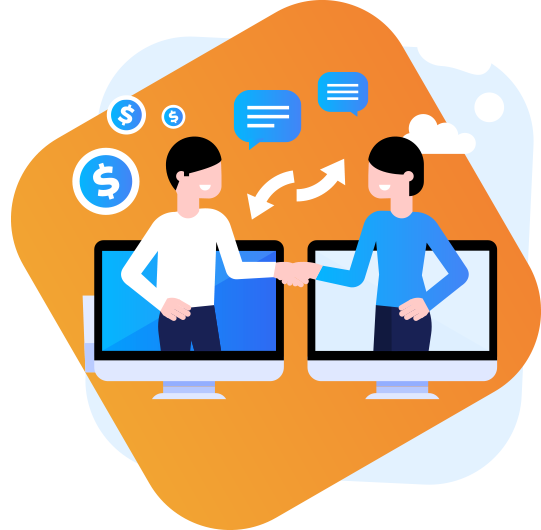 Subiz provides a separate introduction link for you, you just need to introduce and send this link to a friend, when the customer clicks on the link and register, Subiz will record for you. When this referred account arises any payment (upgrade, purchase, renewal, new purchase, etc. ), the corresponding commission level is recorded for your account. Do I have to use Subiz? We encourage you to install Subiz on website in order to experience and know more about Subiz before referring to others. However, this is not mandatory. So, the only thing you have to do is that registering succesfully an account on https://subiz.com. Get more information about the referral program!